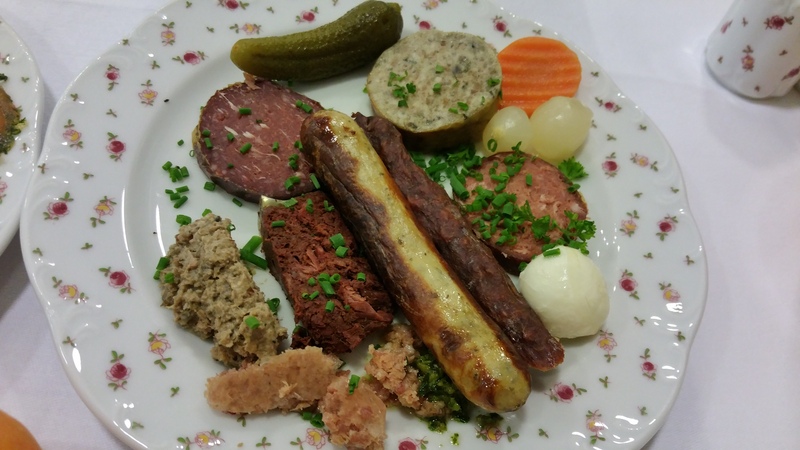 Gastronomic Sojourn in the wild Forest…POTSDAM! MICHELIN Star Restaurant called Friedrich Wilhelm. I arrived from Berlin to find a most charming property with a shocking red carpet leading into the hall of the hotel. After checking in, I was and shown to my suite No. 214. It was very well appointed with all mod cons and lot sof wardrobe space. The only thing missing from the amenities was the Hair Conditioner. There was shampoo, bath gel and hand and body lotion but NO hair conditioner. Very strange for a 5 star Relais and Chateaux property. I had a lovely swim in the Health Club in the really cool 12 long pool with two jacuzzis. The button to switch on the jacuzzi jets is rather difficult to find being underwater. There is also a Steam Room, Relaxation Lounge and Finnish Sauna. Be aware that the Germans and other European guests like to be totally naked in the Sauna and Steam Room! Do not be shocked! Ha! Ha! The problem I find is that the majority of these nudists are not like curvaceous Cameron Diaz or voluptuous Maria Sharapova with toned muscles so it can be an eyesore! The next day after a hearty German Breakfast with the Wild Game Wurste and Salamis which I simply adore, I went to the city of Potsdam to see the many sights. I also managed to find my favourite Spargel or white asparagus in season! Do try the many different captivating Cheeses on the Breakfast Buffet….absolutely yummie! Venison and Wild Boar and Hare! From the hotel deep in the Wildpark which is a nature preserve and forest full of deers and wild boars, I drove to the City. It takes about 20 minutes to get to the centre. Potsdam is famous as the site of the historic July 17 to Aug 7, 1945 Conference where Truman, Churchill and Stalin met to carve out Europe between their respective countries. I also went to see the Bridge of Spies…but that is another story. You will see the Bridge soon in the latest Steven Spielberg movie called “Bridge of Spies” starring Tom Hanks. Many spy swaps took place here in mysterious circumstances…The German name for the bridge is : Die Glienicke Bruecke. Returning to my suite in the evening, I was SHOCKED to find that the wet used towels in the bathroom had not been replaced, the empty Mineral water bottle and its crown cap left on the writing desk had not been cleared, and the two tea cups half full with cold stale tea was still on the pantry area, next to the Nespresso Coffee machine! Very odd and totally unacceptable or in German, inakzeptable, especially for a Relais and Chateaux 5 Star property. I told Reception immediately, and to their credit, a lady came to quickly do what should have been done when I was out the whole day sightseeing! On my previous visit in April this year to Vaduz in Leichtenstein, the Parkhotel Sonnenhof (also a Relais and Chateaux property) was truly superb, and no hiccups like this occurred at all during my stay. This hotel is very good in an idyllic locale, but the Housekeeping Department needs a good shake-up and urgent improvement. Das ist total unzufrieden. Every morning, my Breitling titanium watch alarm woke me at 06:00 so I could go for my swim and daily exercises! Truth be told, the swimming pool is excellent with two jacuzzis near the steps…but it is very difficult to find the red buttons to switch on the powerful water jets..so good for a back massage. It is heavenly to swim with a view of the wild forest outside! The Japanese would love this! Very ZEN…The small Gym has a treadmill, a ski walker and a stationary bicycle. Here again, some improvements are required. On one evening, I went down to the pool to encounter a young German couple. They looked confused and asked me, “Wo sind die Badetuche denn?” I told them in German, “They should be in the changing room near the Sauna.” We went in together to look but lo and behold, NO bath towels! I had to call Recption to get some towels! There is also a water dispenser which has a big bottle of Gerolsteiner water but it was empty! As Michelangelo who painted the Sistine Chapel in all its supreme glory said: Trifles make perfection and perfection is no trifle! The Friedrich Wilhelm Restaurant in the old preserved ornate and exquisite Bauernhaus, or Bavarian style farmhouse is very nice in terms of its ambience and very classic old school decor. 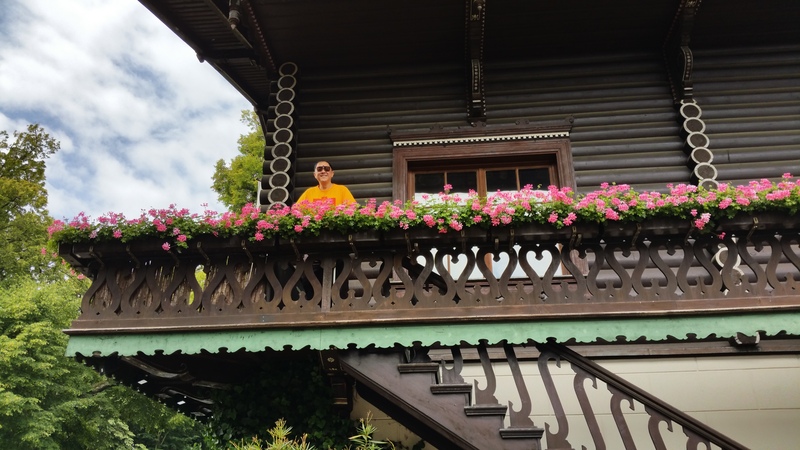 You climb up a long flight of wooden stairs to go back in time to a more elegant and opulent era. It is named after the old Emperor. The dining room is lit by exquisite glittering chandeliers. The haute cuisine and wines are good. If I were to be critical, which I usually am not, I would respectfully suggest some more modern interpretations of the dishes, without too many Molecular Gastronomy touches. The Chef, Alexander Dressel is very friendly and the service is very good. I recommend the Degustation Menu paired with wines. With the Degustation menu the discerning gourmet gets an overall picture of the Chef’s cuisine and expertise. I recommend the Rochenfluegel mit Kartoffelcreme und Yuzu..try too juicy Sadddle of Venison or Guido’s Rehruecken und Pfefferkraut. 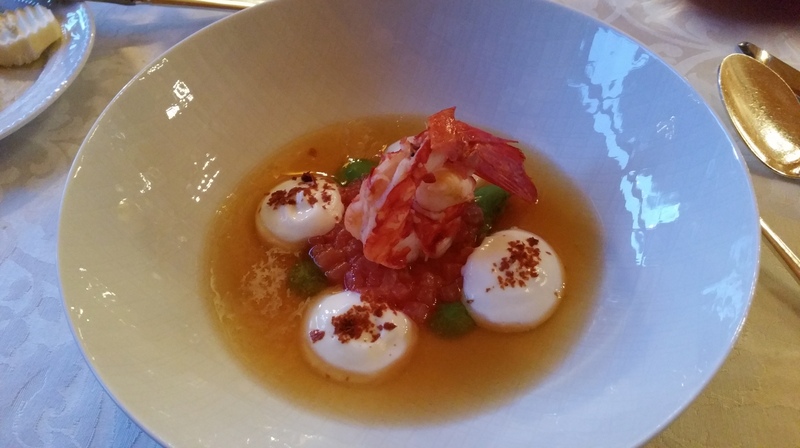 Yummielicious Haute cuisine in Restaurant Friedrich Wilhelm! If you are into noisy discos and night clubs and KTV lounges with cheap booze, intoxicated party goers and fille de joies galore aka Nutten in German…this place is not for you. For recreation, apart from swimming and beauty and health enhancing Spa treatments, a nice relaxing ramble in the forest is most delightful, and makes for very good exercise! Just listening to the birds singing is so soothing! As a bonus, it also works up a good appetite! On a side note, Frederick II (German: Friedrich II. 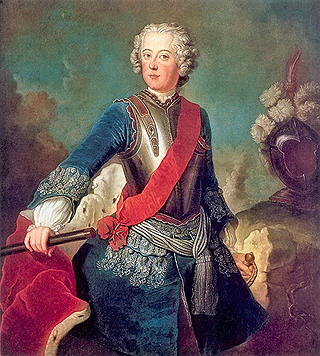 ; January 24, 1712 – August 17, 1786) was a King of Prussia (1740–1786) from the Hohenzollern dynasty. In his role as a prince-elector of the Holy Roman Empire, he was Frederick IV (Friedrich IV) of Brandenburg. He became known as Frederick the Great (Friedrich der Große) and was nicknamed der alte Fritz (“Old Fritz”). Dr. Michael Lim The Travelling Gourmet TM is a celebrated Travel, Food and Wine Writer/Editor. Potsdam was the residence of the Prussian Kings and German Kaisers until 1918. It is the site of the lovely parks and amazingly impressive palaces of Sanssouci, the largest World Heritage Site in Germany. The city is now the capital of the German federal state of Brandenburg, and a home to three public colleges and a major film production studio. This entry was posted in Art, Chocolates & Desserts, Fabulous Food, Food and drink, Gourmet cuisine, History, Hotels & Resorts, Let them eat Cake..., Nobody's perfect..., Organizations and tagged 1 Michelin Star, Bayrisches Park Hotel, Cheeses, Dr. Michael Lim The Travelling Gourmet, Friedrich Wilhelm Restaurant, haute cuisine, Pool and Spa, Potsdam Germany, Relais & Chateaux, The wild forest, Venison and Wild Boar Salami, Wild game Wurst. Bookmark the permalink.